This month we present a great success story about finding a high-performing candidate for RAFA. 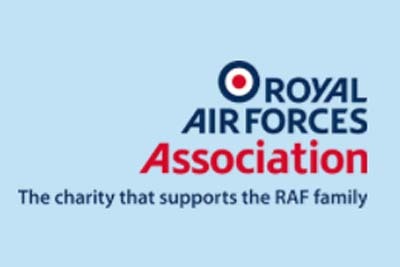 The Royal Air Forces Association is a membership organisation and registered charity that provides welfare support to the RAF Family, which includes all serving and ex-serving personnel and their dependants. The Association exists in the recognition that RAF personnel and their immediate families dedicate their lives to their country and, to ensure that such a sacrifice does not result in suffering, poverty or loneliness, they help all generations of RAF Service personnel and their families. The RAFA in Fairford were looking for a new IT&C Executive and, after having a look at the market themselves, they contacted Jackie Kerr Recruitment. We visited their offices and sat down with their team to understand their immediate, medium term and future needs and to study the culture of the organisation to ensure that any candidate would seamlessly fit into the team. We then head-hunted two likely candidates. Our client definitely liked both candidates and, on personality, would have employed them both. On close examination, one of the candidates stood out as more technically qualified and, over time, promises also to fulfil many of their longer-term technical requirements. They offered the position to our second candidate and a few weeks later, we discovered that our candidate, James Ellis, has settled in well and is now firmly part of the team. IT&C and technical roles are a key specialism at Jackie Kerr Recruitment so, if you are looking for high performing and personable IT&C people, then you really should be talking to us!